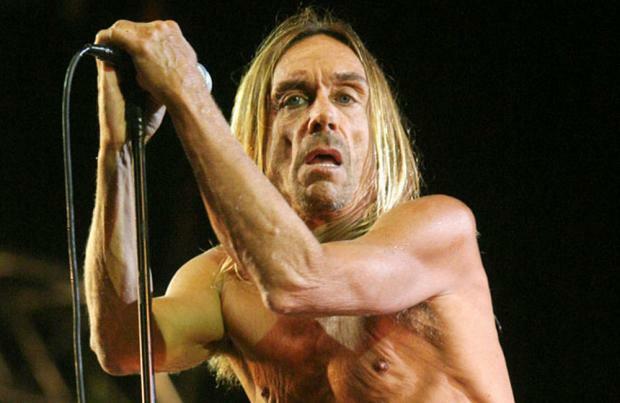 Iggy Pop farts all the time on tour. The 68-year-old rocker joked about his flatulence habit during a joint interview with his 'Post Pop Depression' collaborator Josh Homme and admitted to passing wind when they have been rehearsing for their live shows in support of the one-off record, which they made with Arctic Monkeys drummer Matt Helders and Dean Fertita from the Dead Weather. Of his smelly habit, Iggy told the Nerdist Podcast: "There's been a decline, I am 68 and things have gone down hill from when I was 21. I can qualify as an old fart. If I am at home I fart very rarely but, If I'm out on the road, I'm farting all the f***ing time. I'm farting all through rehearsal for the end of rehearsal you push a lot of air so I am pushing and farting." But his musical partner Josh of Queens of The Stone Age thinks it shows his "unbridled energy". He added: "I sense that cool unbridled energy leaping there is a certain wildness about you that is impossible to control and that's what is cool." And the 'Lust For Life' hitmaker quipped: "I thought you were going to say that when I approached you that I farted." Meanwhile, asked what his favourite work has been, he added: "Whatever we [Pop and Homme] did together."